Arguably, the history of Ireland’s recording industry has been blighted by more dodgy deals and bizarre licensing arrangements than any other nation’s and one day someone will get around to explaining why, for instance, it’s virtually impossible to find a copy of Paul Brady’s one and only solo traditional recording to date, Welcome Here Kind Stranger, in Ireland despite the fact that, as far as I am aware, it has never been deleted. Now, thanks, in Paul’s own words, to a “daft moment” and a fortuitous discovery in his attic more than a score of years later, it’s possible to relive the occasion when Paul showcased his then new album in a live performance at Dublin’s Liberty Hall. Ironically, in view of the ‘rights’ question regarding the actual album, the venue was the home of Ireland’s Transport and General Workers Union, and a popular choice for acoustic concerts, especially during the Dublin Folk Festival of July 1978. The aforementioned ‘daft moment’ was Paul’s decision to recreate Welcome Here Kind Stranger on stage, together with some songs from his earlier album with Andy Irvine. To this end, multi-instrumentalist Andy, together with Dónal Lunny (bouzoukis and guitar) and Noel Hill (concertina), all of whom had appeared on the album, were recruited alongside Paul’s former Planxty colleague, uilleann piper Liam O’Flynn, Matt Molloy (flute) and Paddy Glackin (fiddle) - both regular musical colleagues. The last sentence was written with prescience, since at the time of compiling his notes, Paul already knew that he was booked to play a series of twenty-three gigs at Dublin’s Vicar Street in October, 2001, including a reincarnation of the original concert’s line-up as The Liberty Belles. 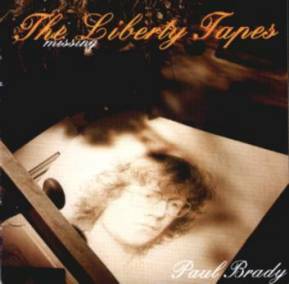 Unusually, Brady decided to record the Liberty Hall concert “just for the hell of it”. Fortunately, control of the recording was left in the hands of the soundman, Brian Masterson, who had engineered Welcome Here, though the equipment used was Paul’s own reel-to-reel machine, equipped with a supply of bog-standard tape. After the gig, Paul took the tapes home and managed to mislay them - occasional future searches proved fruitless until he discovered them in a box in the attic of his new home in November, 2000. Amazingly, not only had the tapes survived intact, but so had the quality of the original recording, thanks to Masterson’s expertise. To augment one’s nostalgia, Paul has also disinterred contemporary photographs and, boy, did these lads know no shame! Although Matt Molloy is nattily dressed and seems hardly to have aged, Dónal Lunny sports an alpine-style bobble hat, with said bobble either removed or then fashionably tucked in. Liam O’Flynn adopts the pose of a Lothario, windswept hair, unbuttoned shirt and all, and appears to be smoking a pipe with a miniature bowl. Paddy Glackin shares Liam’s love of checked shirts, but aims to advance his cause in the amorous stakes through a demonstrably Latin growth on his upper lip. Noel Hill prefers a jacket with patched pockets and seems to have encountered Andy Irvine while the latter was out jogging in the park. As for Paul, well he’s Mr. Chuckles incarnate, with a knotted bandana around his neck in one photograph and clutching an unidentifiable can of drink in another. So, let’s move on to the album itself. 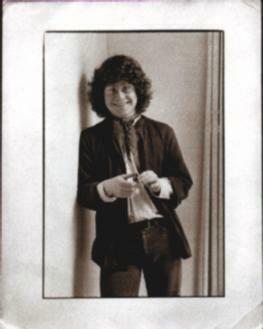 Rolling in at just under one hour in length, only two tracks are missing from the studio version of Welcome Here: Young Edmund and the Lowland Low; and, The Boy on the Hilltop/Johnny Going to Ceilidh. The additions are as follows: the song, The Jolly Soldier, which leads into a double jig, The Blarney Pilgrim; another song, Mary and the Soldier; a couple of reels, The Crooked Road to Dublin which runs into The Banks of Oranmore; and, finally, an encore rendition of Arthur McBride. Apart from the previously noted audience laughter (which clearly also nearly sets Paul off too), several of the stage announcements and Paul’s asides have been retained. As Paul remarked, the musicians had to learn set parts, but there’s barely an iota of contrivance apparent in their playing, reflecting both the abilities of participants and their familiarity with each other’s music. Brady’s voice itself rarely wavers and the synergy of his musical relationship with Andy Irvine is omnipresent. All told, apart from standing firmly on its own merits, The Liberty Tapes reinforces the brilliance of Welcome Here, Kind Stranger. Intriguingly, Paul’s notes describe the latter as “my first solo album and my last, at that time, of purely Irish traditional music and songs” re-emphasising the impression gained when interviewing him last year that a new studio album consisting of such might be in the pipeline. Paul Brady's own website is at the appropriately named www.paulbrady.com.